This story was first published as an op-ed in The New York Times and is republished with permission. 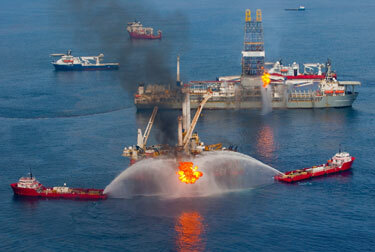 None of the upper-tier executives who managed BP – John Browne and Tony Hayward among them – were malicious. Their decisions, however, were driven by money. Neither their own sympathies nor the stark risks in their operations – corroding pipelines, dysfunctional safety valves, disarmed fire alarms and so on – could compete with the financial necessities of profit making. Such explicit flirtation with deadly risk was undertaken as part of Mr. Browne’s effort while chief executive to expand BP as quickly as possible. Mr. Browne relentlessly cut costs, including on maintenance and safety. Then he hastily assembled a series of acquisitions and mergers between 1998 and 2001 that added tens of thousands of employees, blurred chains of command and wrought chaos on his operations. His methods – and the demands of Wall Street – became overly dependent on quantitative measures of success at the expense of environmental and human risk. After each disaster, Mr. Browne pledged to refresh his focus on safety, investment in maintenance and commitment to the environment. His successor, Mr. Hayward, followed suit, saying that BP’s culture had to change. But the Deepwater Horizon tragedy – which bears many of the same traits as the company’s past accidents – shows how difficult it has been for the company’s leaders to shift BP’s corporate values and live up to their promises. After its previous convictions, BP paid unprecedented fines – more than $70 million – and committed to spend at least another $800 million on maintenance to improve safety. The point was to demonstrate that the cost of doing business wrong far outweighs the cost of doing business right. But without personal accountability, the fines become just another cost of doing business, William Miller, a former investigator for the Environmental Protection Agency who was involved in the Texas City case, told me. What the gulf spill has taught us is that no matter how bad the disaster (and the environmental impact), the potential consequences have never been large enough to dissuade BP from placing profits ahead of prudence. That might change if a real person was forced to take responsibility – or if the government brought down one of the biggest hammers in its arsenal and banned the company from future federal oil leases and permits altogether. Fines just don’t matter.